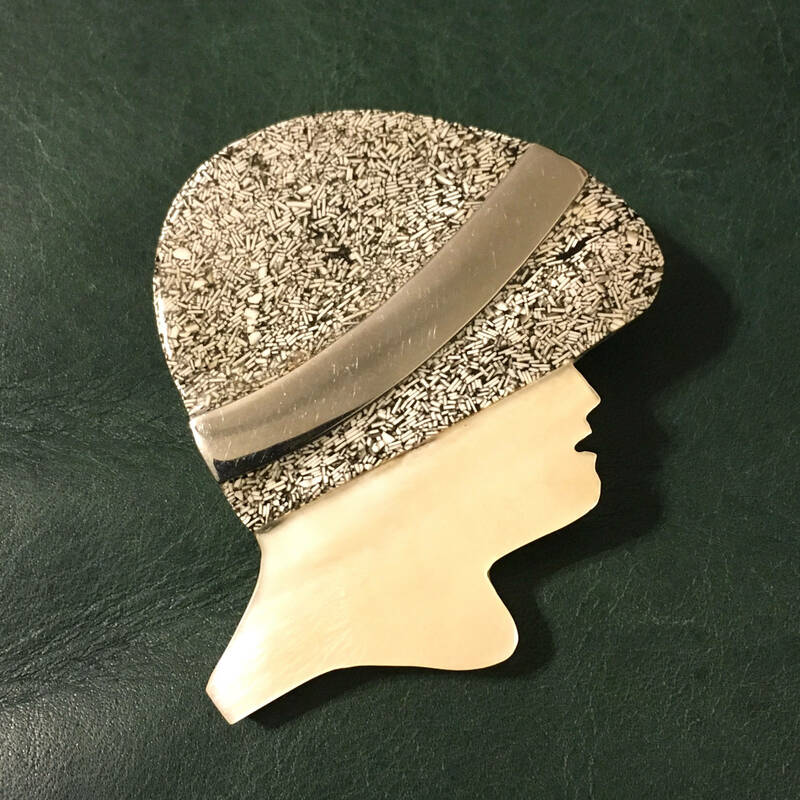 This fun to wear brooch of a flapper girl is made of inlaid mother of pearl shell and Sand art with a silver band across her hat. This woman's head brooch is 2 1/2" tall x 2 1/4". The inlay is done so well with a lacquered surface. This awesome looking pin is in great condition, no damage or flaws found. 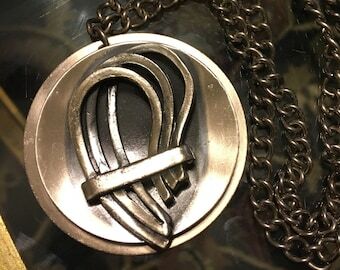 Not signed, but I don't believe Lee Sands pieces ever were. Great 80's modern design! Designer Lee Sands started his Hawaiian enterprise in 1975. His first creations were made from puka shells - in fact it was Lee who brought this classic Hawaiian handicraft to the world. But it was actually his discovery of eel skin leather in the 1980s that made him world-renowned in the fashion industry. Inspired by the stunning island of Hawaii, Lee Sands' wonderful jewellery collection owes its beauty to the natural world. His exquisite jewelry pieces are made with natural materials incorporating shells, coral, polished wood and ancient Amber.